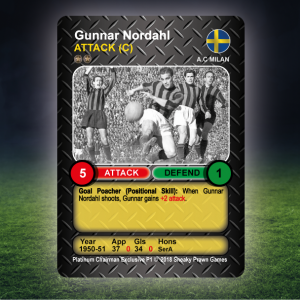 Meet the 1950’s squad… call forth Matthews, Yashin, Edwards and Froggat and unleash hell upon the 60’s, 70’s and 80’s… They have class. They are contenders. They are somebodies. 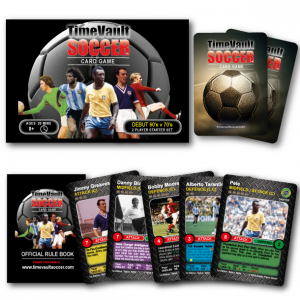 Think you can champion 1950’s football against those young pretenders from the 60’s, 70’s and 80’s. 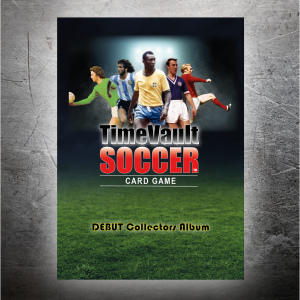 Do you think Stanley Matthews can take Bobby Moore, Franz Beckenbauer and Tony Adams? 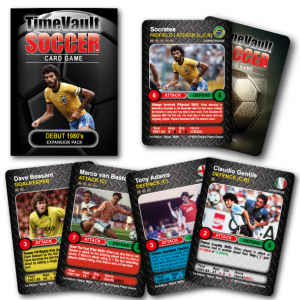 Then visit the Time Vault Soccer tabletop football card game SHOP and get your boys together. Oh yes! Oh so very yes! 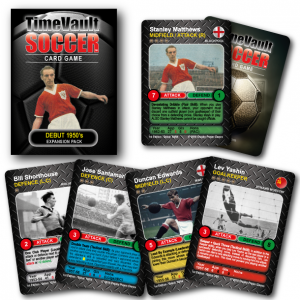 This entry was posted in Squads and tagged 1950's, Bill Shorthouse, Blackpool, Bobby Mitchell, Budapest Honved, Chile, Dorogi, Duncan Edwards, Dynamo Moscow, Eddie Stuart, England, Eusebio Tejera, George Eobledo, Hungary, Jack Froggat, Jack Rowley, Jeno Buzansky, Jose Maria Zarraga, Jose Santamaria, Jozsef Bozsik, Lev Yashin, Malcolm Finlayson, Manchester Utd, Newcastle Utd, Peter Harris, Portsmouth, Real Madrid, Scotland, South Africa, Spain, Stanley Matthews, Uruguay, USSR, Wolverhampton Wanderers.